Thank You For Nothing takes form in a visual art exhibition and collaborative zine that centers womxn, femmes and gender nonconforming artists of color and their stories on unrequited love, respect, and care. In times of the unrequited, emotions are not always explicit for interpretation; they are complex, often intertwined in the fleeting moments left untold, the apprehensions at being entitled, and the disappointment that accompany the receipt of what seems like ‘nothing.’ It can be felt in the lost of a love that was too distant to begin with, the rejection from a state built on false promises of freedom and equality, the fears of feeling like you’re never enough, and the nostalgic yearning of a place you once called home. These unmet expectations and an unreciprocated facets of vulnerability are often at the premise of many stories, but difficult to name amidst heartbreak and silenced at the hands of perceived weakness. It is here that we reclaim the messy, ambiguous and otherwise defiant parts of ourselves–-the parts which normative standards render too illegible to speak of. In doing so, we bring about moments for collective grieving, healing, and a critical intervention into the white heteropatriarchal logics which plague our most intimate and public relationships, spaces, and things. 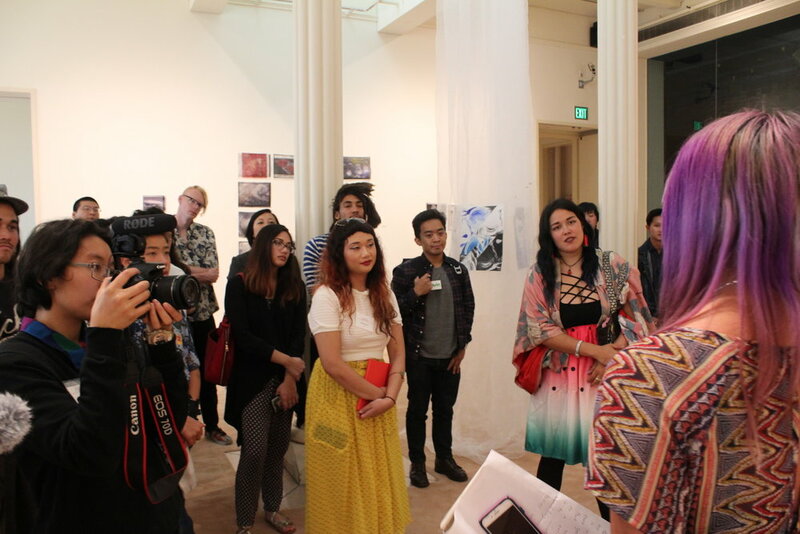 Designed to remove barriers to entry for would-be curators, and increase exhibition opportunities for Asian American women artists, the Emerging Curators Program (ECP) is open to all curators of color of any gender who are interested in curating exhibitions relevant to Asian American women artists. Through ECP, AAWAA facilitates the personal and professional growth of emerging curators by providing mentorship, guidance, and support in producing socially conscious art exhibitions in traditional and nontraditional spaces throughout the San Francisco Bay Area.